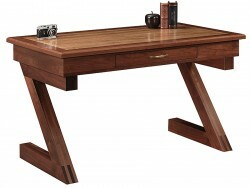 Writing desks are an excellent solution when space is at a premium. 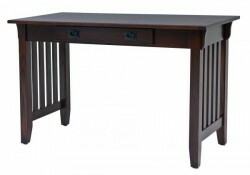 Ideal for students, or easily doing double duty as a console table and workspace, writing desks can be found in bedrooms, offices, kitchens and living rooms. 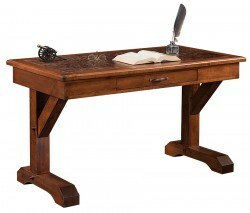 Available in styles ranging from modern to traditional, writing desks from Amish Originals will beautifully complement your décor and be fully functional for a variety of office needs. 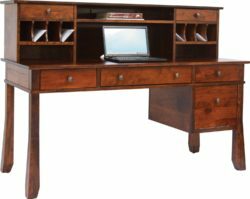 Writing desks from Amish Originals are made-to-order, which means that each customer selects the size, wood species, stain color, hardware and storage options for their purchase. 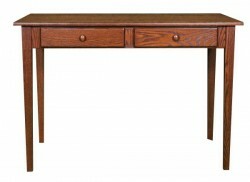 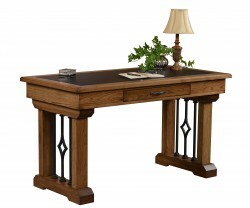 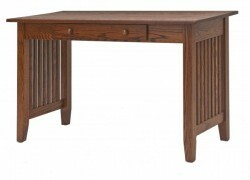 Like all of our furniture, writing desks are hand-crafted by the skilled furniture makers in Ohio’s Amish county. 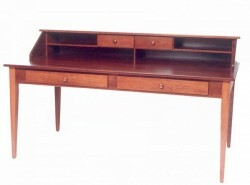 Skills honed with generations of experience guarantee that our furniture is built both for durability and beauty. 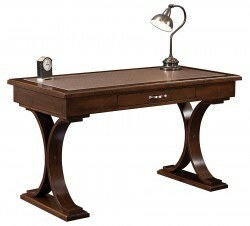 Each writing desk is constructed with solid American hardwoods like Red Oak, Maple, Cherry and Quarter Sawn White Oak and will be crafted to your exact specifications. 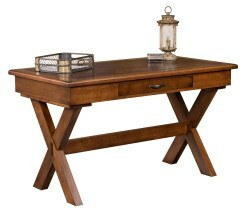 Additionally, all desks are fully assembled and packed with reusable materials; customers may select from home delivery or pickup at our showroom in Westerville, Ohio’s historic Uptown shopping district. 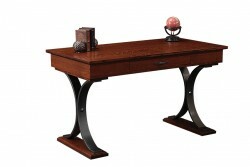 To learn more about our furniture, call or visit us today.